Today I wanted to share with you three great reads that I have come across. Not all are design related but they are well worth a look. 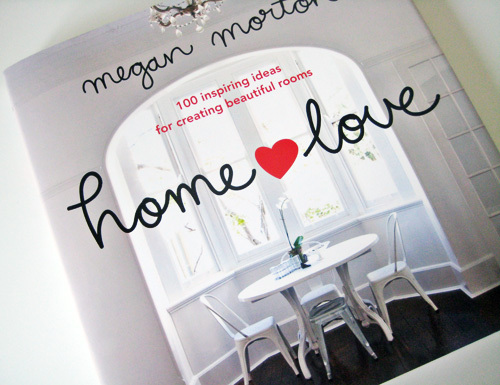 The first is Megan Morton's book HOMElove that was recently released. Megan is a popular stylist who also writes a column for 'Good Weekend'. If you have ever read her column you will be familiar with her warm, conversational style of writing and her tips for creating a beautiful home. They are all in this book and I am going to take my time reading through it all because I'm not ready to put the book down just yet. She also offers tips on how to entertain, throw a garden party and even how to live with a dog! If you would like a signed or unsigned copy, you can purchase one here. 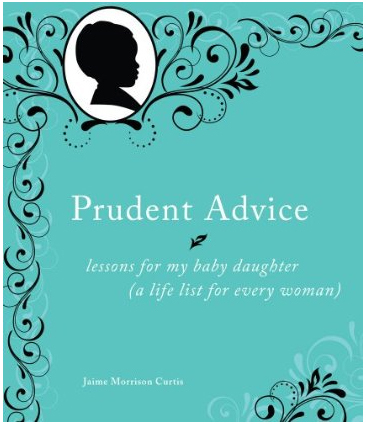 I have enjoyed Jaime Curtin's blog 500 Pieces of Prudent Advice for My Baby Daughter for quite a while now and although I can't quite remember how I stumbled across it I am glad I did. Some of the advice she has written is funny too for example "Your skirt or dress should be longer than your arms hanging straight at your sides" and "If you want to leave a party and you don't have a good excuse, spill something on yourself". Jaime has been busy compiling her wisdom into a book and I was excited to find out from her last week that the book is finished and available for pre-order here. Well done Jaime! Another great read is a blog to add to your radar if you live in Sydney - it is called 52 suburbs. Louise is on a mission to explore and photograph one new Sydney suburb each week. She has visited 30 suburbs so far including Potts Point, Lakemba, Marrickville, Pyrmont, Randwick and more. The photography and commentary on each suburb has really opened my eyes to seeing the beauty in each of these suburbs. Pop over and have a look even if you don't live in Sydney.